I've just found out that the profile below has been impersonating me... Please go report it if you can, this makes me extremely worried. 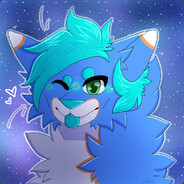 Hey, Name's Irixue, people mostly call me Blue, for a few reasons. I'm a hypernerd with a passion for space and science fiction, I have nothing better to do with my life than study and play steam games, and I'm a relatively open and friendly person. Though if you'd like to add me please comment why first. My Discord is Irixue#8058, And my twitter is simply @Irixue. Keep in mind that I do not trust private accounts or accounts with any kind of VAC ban, I will ignore said accounts, ESPECIALLY if they want something to do with trading.